This complete guide to paddling Smith Island gives you all the information you will need to enjoy either a short or ambitious paddle near Smith Island. The waterproof guide is available for a small fee at kayak shops and at island shops. The paddling guide is also available on the web at www.paddlesmithisland.com. Fishing parties, Sightseeing, Bird Watching, Progging (beach combing), Transportation between the Islands. Rates vary. Seasonal. Inquire when you call 410-968-1904. This charter fishing/hunting lodge located on Smith Island in the village of Tylerton offers a variety of packages for single to multi-day adventures, from basic packages to full service options. Details of packages are included on our website. Lodging only packages as well as short-term dockage are available on a limited basis as scheduling permits. Reservations are required. Open during the fishing season as set by Maryland DNR, typically from mid-late April to December 15. and for the waterfowl hunting season as set by Maryland DNR in the months of December and January. During said seasons we operate seven days per week, but it should be noted that hunting in Maryland is prohibited on Sunday. Cost is determined by services required and a quote will be provided upon request. Seasonal special packages are available on the web-site under the "Specials" tab. 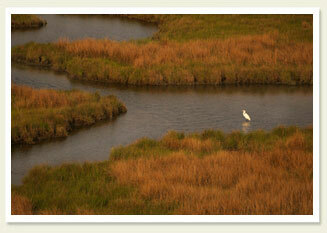 Fly Fishing and light tackle fishing guide service; Eco-Tours - bird watching, beach combing, history, etc. ; crabbing trips. Captain Josenhans is fully licensed and insured. Josenhans Fly Fishing is one of the oldest and most respected, small boat, shallow water fly fishing guide services on the Chesapeake Bay. 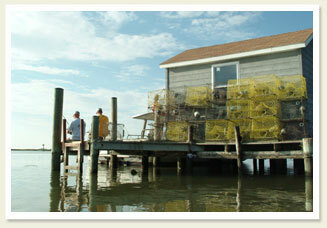 Headquartered out of Crisfield, Maryland, we have been in operation for over 15 years. Clients will be treated to fantastic shallow water fishing opportunities that are available on acres of underwater grass flats that surround Smith and Tangier Islands. Hardfighting gamefish include striped bass (rockfish), spotted sea trout (speckled trout), bluefish, red drum, gray trout (weakfish), spanish mackeral, flounder and atlantic croaker. It is very common to catch four or five species in a days fishing. Quality G. Loomis tackle is provided, along with custom tied flies. Spin fishermen are welcome. The fishing platform is a custom rigged 20 foot Jones Brothers Cape Fisherman bay boat, powered by a super-quiet Yamaha 150 Hp outboard. Eco-Tours and crabbing trips are available on request. Fishing runs April through December - Four, six and eight hours trips are available for one to three persons. Children and novice anglers are welcome, and encouraged. Fly fishings lessons are provided. Eco-Tours available year-round for one to four persons. Trips can be customized to suit. Trip includes all tackle (feel free to bring your own), ice, drinks and light snacks. 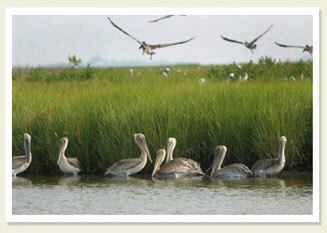 A Smith Island lunch stop is optional - but worth every penny! Call or email for pricing on crabbing and eco-tour trips. Visit www.josenhansflyfishing.com for more fishing options and rates. Consider the "Bay Eagle," owned and operated by Capt. Larry Laird, for your next fishing excursion. The Bay Eagle is 46 feet long, equipped with GPS, depth finder, radar and radio, licensed and Coast Guard approved for 40 passengers, with a comfortably heated cabin for spring and fall outings. Captain Laird maintains a 100 ton Captain's license, attended Mid-Atlantic Survival & Safety Training, and is licensed to fish in both Maryland and Virginia waters. Spring and Summer Trophy Rock Fishing - stripers from 30 to 50" offered at $720 for 6 people and $120 for each additional person. Chumming for smaller stripers over 18" - minimum - 9 people @ $80 per person. Ten or more - $75 per person. Summer bottom fishing for spot, croakers, trout, flounder - minimum 9 people @ $70 per person. Ten or more - $65 per person. 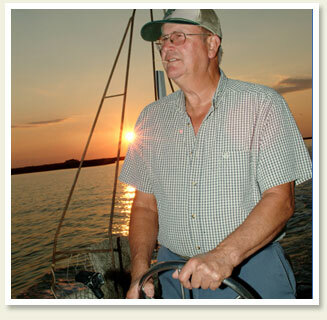 Experience the Chesapeake Bay with Captain Larry Laird. Golf cart (for two) and bicycle rentals. Rentals available Memorial Day week-end thru October 15th, daily from 11 AM-4 PM. No overnight rentals.